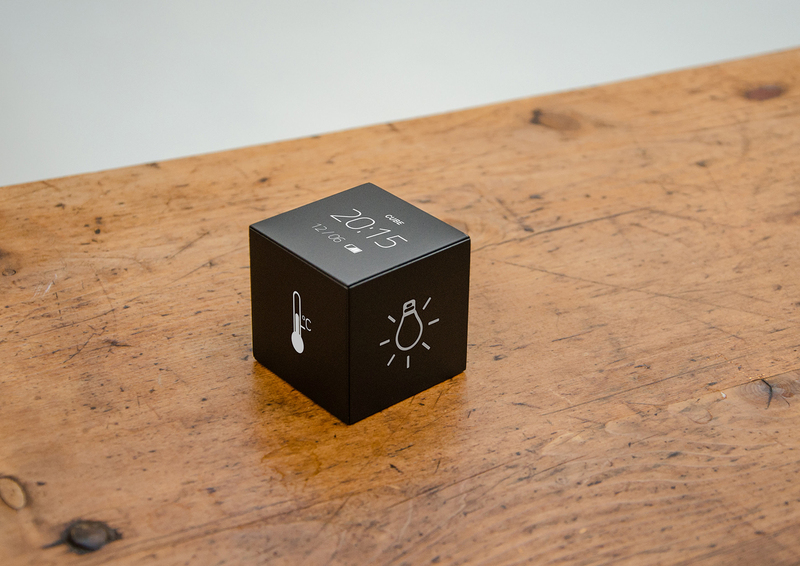 Cube is an intuitive, tangible interface for smart homes. 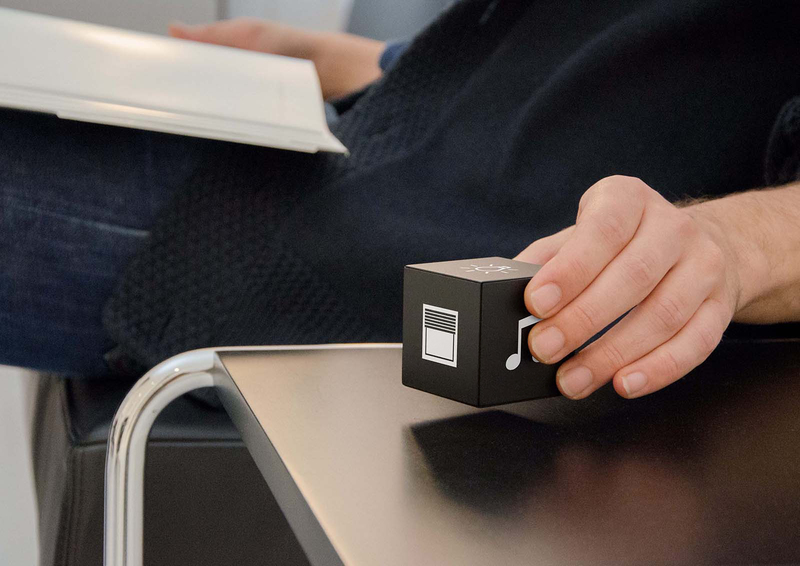 By touching, lifting, tilting and turning, Cube allows users to adjust technological appliances such as lighting, temperature and music using a single interface. 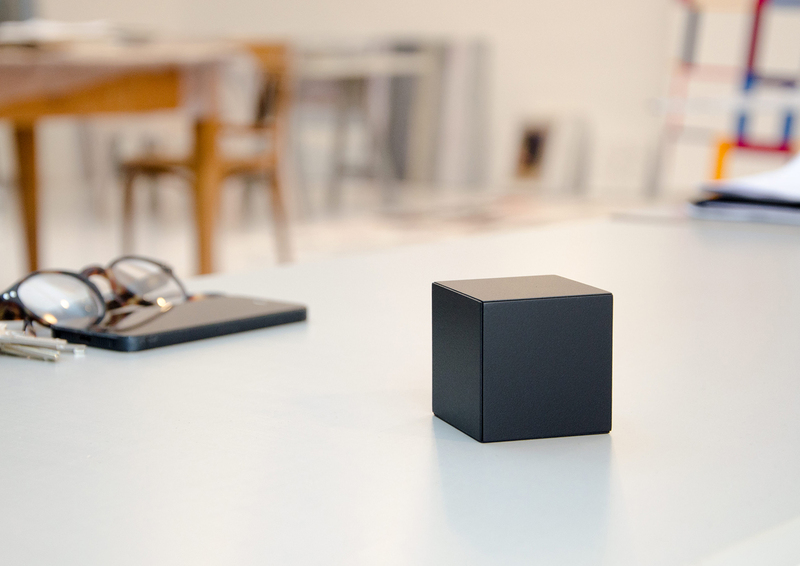 Cube replaces the devices we employ daily to control our smart homes with one aesthetic, tactile device, thereby providing a bridge between our emotional, human needs and our digital surroundings. Our desire for simple systems and technological advancement is reconciled, and so new audiences – who are unfamiliar with contemporary technologies – can be engaged. Intuition is central to Cube’s design principle. Its functions are operated using natural movements that we perform every day, immediately identified through visual feedback: twisting it clockwise turns the volume or temperature up; anti-clockwise is the reverse. There is no possibility for operational error since every adjustment relates to the nearest appliance, and can be immediately reversed by the opposite movement. Concentrating on the most fundamental functions, it removes the fear of unknown technologies through purely intuitive design. Cube improves on the existing system in several ways. It retains the practicality of a mobile device such as a smartphone, while eliminating the distracting, antisocial element they often create. Users will be able to control their appliances, but not at the expense of disrupting their social and human interaction. It additionally addresses the problem created by complex menus of remote controls. While wall-mounted controlling systems operate the complex commands, Cube will replace the everyday actions that take up most of our time. Uni-functional and unobtrusive, Cube allows us to take advantage of our digital environments, while eliminating the complexity and antisocialness they create. With its tactile functionality and non-technical aesthetic, Cube provides a simple, integrated solution for our smart homes that allows anyone to engage with their digital surroundings, in a human, tactile way. Please feel free to contact us for detailed information. Cube provides a bridge between our emotional human needs and our digital surroundings. It removes the fear of unknown technology trough purely intuitive, playfull usage. Cube is the symbiosis of function and form. Mysterious, simple and clear, it awakens the spectators attention and creates the whish to try and use this iconic device. 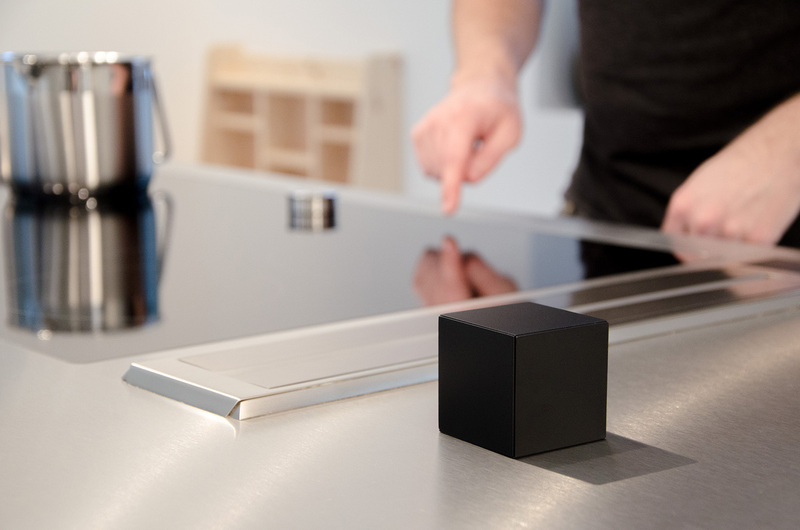 Cubes graphic interfaces provide a visual feedback of the interaction with the controlled appliances. Reduced to the relevant information it keeps the user focused on the environment. Please feel free to contact us for further questions, or if you wish a individual recommendation for your innovations and products.